Nintendo held it’s first Nintendo direct conference of 2014 on Thursday 13th February at 10pm GMT. It had been announced to the masses the day before. In typical tradition, the gaming world on the Internet went into hype mode. It should be said before I go any further that Nintendo had explicitly said that this direct would be to showcase it’s games launching up to Spring. That in itself should have been enough to squash any wild speculation leading up to the direct. But this is Nintendo Direct and normal sensible suggestions aren’t applicable when trying to predict what will be said. It should also be mentioned that this particular Direct was scheduled to take 41 minutes, given the length even more hype surrounded this Direct and anticipation levels were sky high. Nintendo could announce the full list of games it plans to talk about at the Direct the day before it’s scheduled to happen, people would read the list but still expect more even if it’s categorically stated to expect nothing more. So here we are, 10pm rolls up and the stream starts. First we are treated to an incredible reveal of a new character for Smash Brothers. Little Mac will be joining the smashing roster when the game finally arrives. So we’re off to a good start. It then hit me when watching this that could this game be coming out between now and spring? The answer in short is no. No release date window was given at the end of the teaser. From here we’re given barrage of 3DS game release dates. Some games we knew about, and some surprise eShop titles. 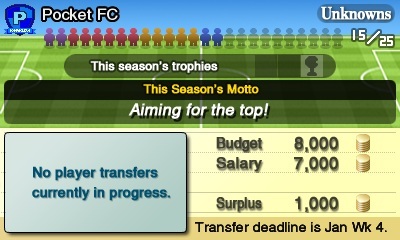 Nintendo Pocket Football Club being a particular highlight. It’s basically Football Manager splashed with Nintendo’s charm, And it looks incredibly fun. So again, so far so good, but 30 minutes into this conference and all we’ve seen of Wii U is Mac for Smash. Iwata then goes on to show us another trailer for Donkey Kong Country Returns. Okay we get it, this game is out soon, and it’s part of the scheduled release lineup from now till Spring, but please don’t make too huge a deal of it as we’ve known it’s coming out soon with a confirmed date for quite some time now. Next Iwata teases new characters appearing in Mario Kart 8, which then follows with a new trailer. The game looks stunning, truly incredible. I cannot wait to get this, and we’re then treated to the new characters. It’s the Koopa kids. Already I can hear a collective groan across the Internet forums. But what were people really expecting here? There’s no way they’d drop other franchise mascots in MARIO Kart, but there is no pleasing some and disappointment at these characters inclusion was apparent on message boards. I don’t quite understand why? Would they have been happier if no new characters were introduced. That’s an argument for another day. Okay so we’re now shown a new game for Wii U… here it comes, a surprise bomb launching between now and Spring. Well… if it was a bomb, it was a dud. NES Remix v2 will be hitting Wii U in April. Again I could feel the force of fanboy’s loosing their minds, and not in a positive way. To calm them down though Iwata then treated us to uncut in game battle footage of the mystery title ‘X’ which looks incredible, and finally a new Bayonetta 2 trailer. No release date for either I should mention, not even a hint of a date on X. At least Bayonetta 2 said coming 2014, But It’s pretty safe to assume neither would be hitting between now and Spring. So… Wii U’s lineup from now till Spring is Donkey Kong, NES Remix v2 and Mario Kart 8. Where as 3DS has near 100 titles (exaggeration). Which console is that’s having all the issues again? So here we are, we’ve all done it again. 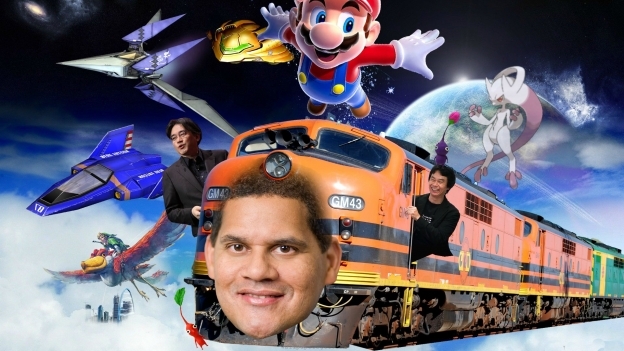 We were all guilty of purchasing a ticket for the Nintendo Hype Train, only to have it spectacularly derail again. Despite knowing what to expect we all fantasized about more and feel lousy about what we actually got. It does beg the question though just what are Nintendo doing in terms of the Wii U, unless they are genuinely keeping their cards close to their chests for E3 It certainly does seem dire for the Wii U. We shouldn’t of expected any bombs, but if Nintendo were willing to show us trailers for Wii U games with no release date in site along with their Spring titles, could they have at least name dropped some other titles that are on the way? Again referencing E3, perhaps they are planning to drop the bombs there surprising us all much like Twilight Princess reveal. One thing for certain is that Nintendo will have to have a massive showing either at it’s next Nintendo Direct or at E3 itself. And despite continuously getting on board the hype train and seeing it derail time after time, I fully expect that once we catch wind of the next Direct or at E3 conference itself I’ll have purchased my first class ticket for the hype train…. All aboard. The Hype Train…. departing soon?